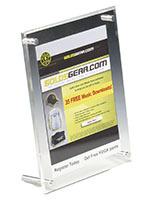 This clear photo holder is a great way to advertise sales, clearances, or upcoming events in your retail location! 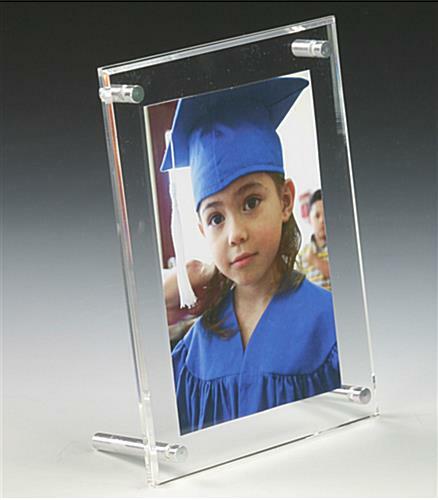 Clear Photo Holder: 4" x 6"
This Clear Photo Holder is ideal for posting portraits, menus or pricing information. 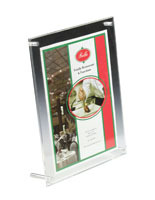 The see-through frame and polished edges of this picture frame ensures focus on the graphics. 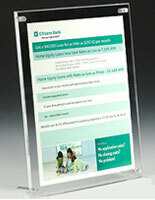 This acrylic sign frame, clear photo holder adds a modern accent to any décor. 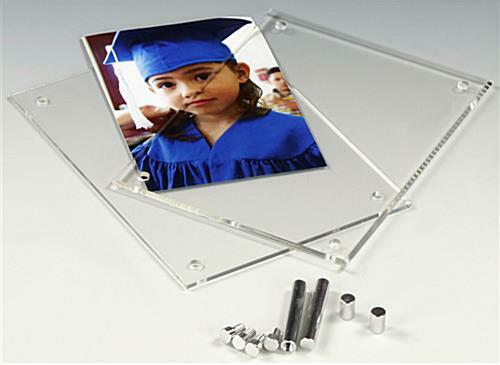 Clear photo holder, like this picture frame contains two 1/8" thick Lucite panels and 4 sets of nickel plated binding screws. By simply amending the supporting screws, you can easily change your photos in either a vertical or horizontal direction. 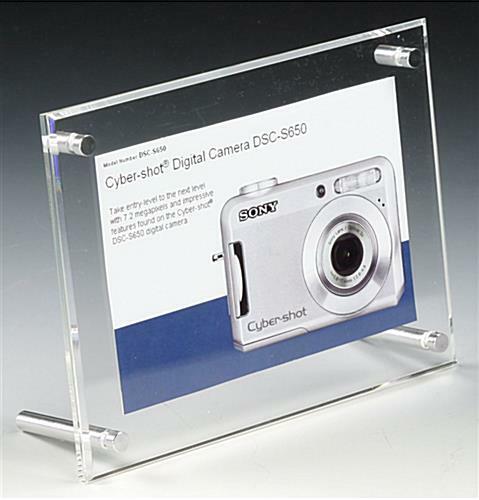 This clear photo holder is in stock now and ready to ship!